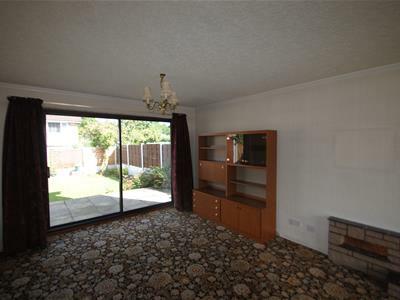 DETACHED HOUSE REQUIRING SOME UPDATING - SCOPE FOR EXTENSION SUBJECT TO APPROVAL - THROUGH LOUNGE / DINING ROOM - THREE GENEROUS BEDROOMS - BEAUTIFULLY MAINTAINED GARDENS - DRIVEWAY PARKING FOR SEVERAL VEHICLES & GARAGE. Set within a convenient location, this detached property offers accommodation including an entrance porch, hallway, cloakroom with Wc, through lounge / dining room, kitchen, three bedrooms and a bathroom. Gardens to front and rear, ample driveway parking and garage. 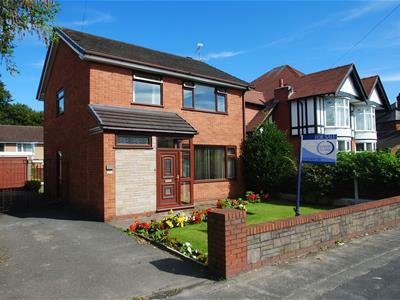 Occupying a convenient and popular residential location this detached property offers well-proportioned accommodation. To the ground floor there is an entrance porch which in turn opens up into a welcoming hallway and in turn a cloakroom with a two piece suite, lounge/dining area with a feature exposed brick fireplace, kitchen fitted with a range of matching eye and base level units and with integrated appliances, three good sized bedrooms of which the principal two both benefit from fitted wardrobes and a family bathroom with a four piece suite. 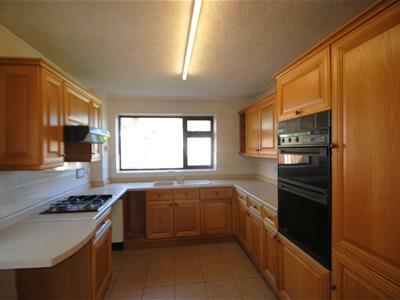 This well proportioned accommodation is warmed by central heating which is complimented by double glazing. An internal inspection is highly recommended at the earliest opportunity. From our Stockton Heath office proceed along London Road in a northerly direction to the traffic lights turning right into Grappenhall Road. continue to the next set of traffic lights turning left onto Ackers Road. Follow the road to the end and turn left and where the property can be found on the right hand side of the road clearly marked by our 'For Sale' board. Wood grained Pvc double glazed front door with a frosted glazed panel inset and matching double glazed panels adjacent and to the side elevation and tiled flooring. 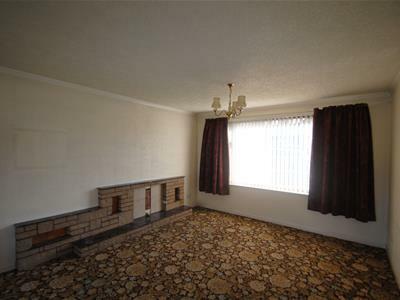 Staircase to the first floor, under stairs cupboard and double central heating radiator and a telephone point. Low level Wc, wash hand basin with tiled splash back, wood grained frosted Pvc double glazed window to the front elevation, central heating radiator. Exposed brick surround with corner display shelving, raised hearth and matching mantle, ceiling coving, wood grained Pvc double glazed window to the front elevation, double glazed patio doors to the rear elevation, central heating radiator and a television point. Wood grained Pvc double glazed window to the side elevation. A range of fitted wardrobes providing hanging and shelving space, wood grained Pvc double glazed window to the front elevation, ceiling coving and a central heating radiator. A range of fitted wardrobes providing hanging and shelving space, inset dressing table with mirror and drawers, wood grained Pvc double glazed window to the rear elevation, central heating radiator and ceiling coving. Fitted double wardrobe and adjacent cupboard, wood grained Pvc double glazed window to the front elevation, ceiling coving, telephone point and a central heating radiator. Panelled bath with Mira shower above, pedestal wash hand basin, low level Wc, Bidet, tiled flooring, tiled walls, wood grained frosted Pvc double glazed window to the rear elevation, wall light point, shavers point, airing cupboard with louvered doors. Up and over door, window to the side elevation and light and power. No tests have been made of main services, heating systems or associated appliances, neither has confirmation been obtained from the statutory bodies of the presence of these services. We cannot therefore confirm that they are in working order and any prospective purchaser is advised to obtain verification from their solicitor or surveyor. Strictly by prior appointment with Cowdel Clarke, Stockton Heath. 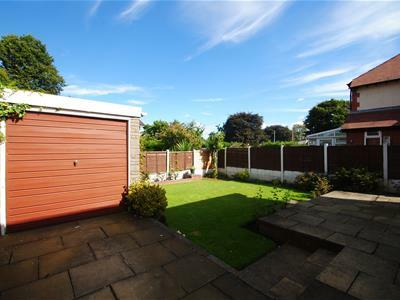 To the front of the property there is a tarmac driveway offering off the road parking which leads from the front along the side and to the rear where the garage is accessed. There is a front lawned garden with borders set behind a dwarf brick wall and a pathway to the front door. To the rear there is an enclosed garden which is predominantly laid to lawn with a range of well stocked borders and a slightly raised flagged patio and outside light.